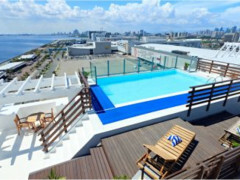 Microtel Mall of Asia hotel in Manila is all about quality that endures. The newest in a chain of world-class economy hotels in the Philippines, our hotel is located near the Ninoy Aquino International Airport (NAIA), making it easier for you to reach the capital’s prime destinations in no time. Further value for your money is also found in the confines of our rooms and suites. Affordable yet fresh and urban in design, each one is sure to reward you with pure comfort. And since our hotel is right inside the SM Mall of Asia (MOA) complex, scores of restaurants, apparel stores, and cinemas are all accessible. Convenience has never reached such great heights. 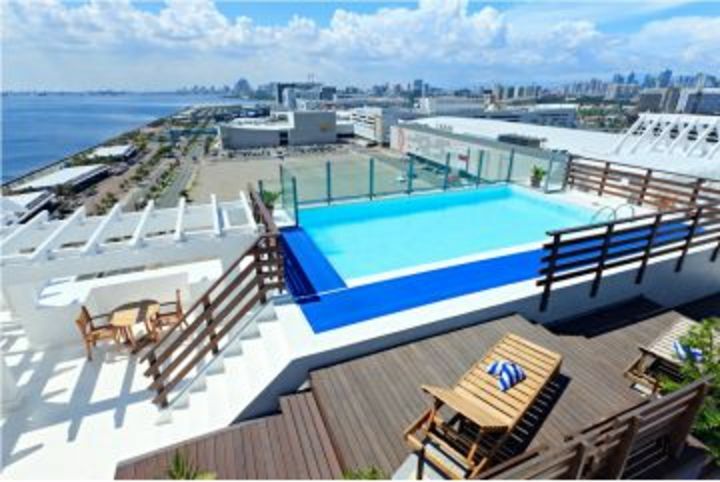 Microtel Mall of Asia facilities: Here, you’ll find that all your needs are addressed without delay, be it a trip to and from Manila’s best attractions or a simple afternoon of leisure. A first class hotel v. Convenient to MoAsia if you're a shopaholic.Alittle bacon, eggs in the morning would be a nice alternative to the otherwise excellent Filipino fare. 11.3km from the Ninoy Aquino Airport via Macapagal Blvd towards EDSA then go towards Mall of Asia. Microtel Mall of Asia - Manila Coral Way Ave. corner Seaside Boulevard SM Mall of Asia Complex Pasay City 1308 Philippines There is ample parking area within Microtel MOA and SM Mall of Asia.